If you’re anything like me, when you see a banana with one of those unsightly, brown spots, you probably count it as trash. I must admit, this is a faulty way of thinking. 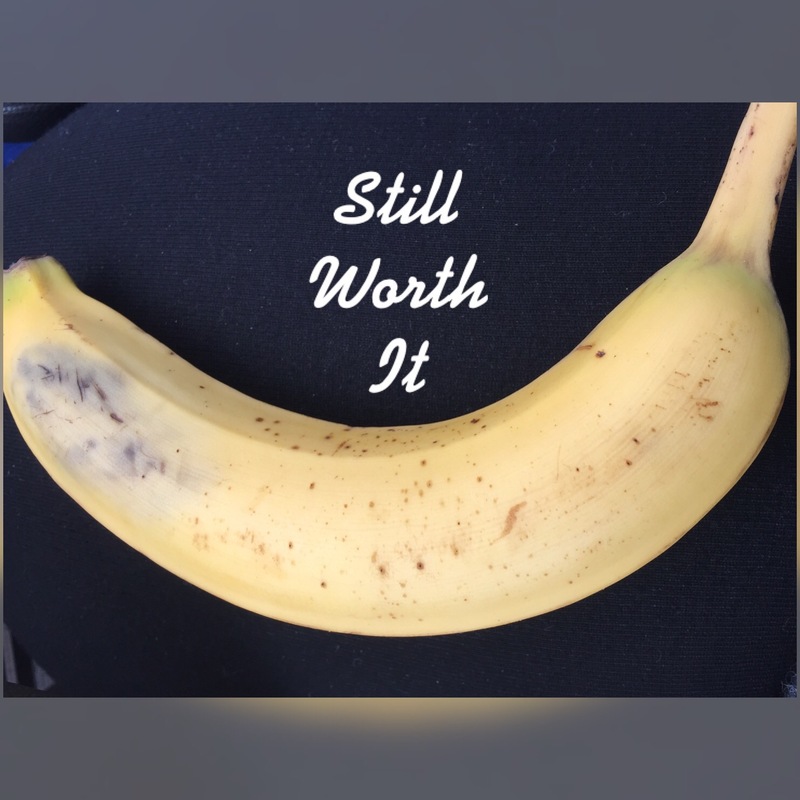 Just because a banana is bruised doesn’t mean that it is of no worth: as a matter of fact, bruised bananas are useful for many recipes! Like those brown spotted bananas, we too are useful. Even Christ was BRUISED for our iniquities. As followers of Christ, we can expect to go through some bruising, but it’s for the greater good. God creates some of the best glory stories out of those who have been bruised. Psalm 51:17 reads “The sacrifices of God are a broken spirit: a broken and a contrite heart, O God, thou wilt not despise.” You see, God does NOT determine our worth by our outer appearance, He looks at our hearts. I don’t care how beat your face is, how fly your ‘fit is, or if the color of the bottoms of your shoes is red…the focus of God’s attention is what’s inside. According to Proverbs 31:10 (AMP) “An excellent woman (one who is spiritual, capable, intelligent, and virtuous), who is he who can find her? Her value is more precious than jewels and her worth is far above rubies or pearls.” The value of a virtuous woman exceeds the value of those external ornaments. Verse 30 of the same book and chapter declares that “charm and grace are deceptive, and superficial beauty is vain, but a woman who fears the Lord (reverently worshiping, obeying, serving, and trusting Him with awe-filled respect), she shall be praised.” A woman with a worshipful heart is praiseworthy in the sight of God. Those that worship Him must do so in spirit and in truth and a worshipper knows that true worship requires obedience and involves sacrifice. Again, consider Christ: His laying down His life and being bruised for us was the ultimate act of obedience and sacrifice and He did so because He felt that we were worth it. What a gesture for us…because He thought we were worth it, He became bruised and He was wounded. Those wounds and bruises surely didn’t decrease His worth: they serve as a valuable reminder of just how much He loves us. He died that we may become vessels of honor to carry His glory. David, a man who is known to be characterized as “a man after God’s own heart”, was chosen as King Saul’s successor: not because of his strength or appearance, but because God knew His heart and that David would not hesitate to glorify Him. He knew that David wasn’t vain, didn’t have selfish motives, and wouldn’t take God’s credit. In essence, he had just the heart that God wanted and He saw fit to make him king and allowed Jesus to be birthed through the lineage of him. That’s the kind of God we serve! So, in spite of your appearance, know that God already thought that you were to die for! You are worth it and with the proper posture of the heart, you can be not just His vessel, but His vessel of honor…to carry His glory. As aforementioned, the bruised become some of God’s greatest glory stories! Wow I love your perspective on this! Thank you so much for sharing! Thank you and God bless you, Heather!